THE Museums Department yesterday held a ceremony to hand over ‘The Preservation of Books Act 1967, revised edition 1984’ to the Language and Literature Bureau (DBP) at the Ministry of Culture, Youth and Sports (MCYS) building. Present to witness the handing over was MCYS Permanent Secretary Datin Paduka Dr Hajah Norlila Dato Paduka Hj Abdul Jalil. The Act, which was previously known as ‘The Preservation of Books Act 1967’, is a law approved by the Legislative Council for the purpose of safe-keeping and preserving printed and published materials in Brunei. ‘The Preservation of Books Act 1967, revised edition 1984’ requires local publishers in Brunei Darussalam to submit three copies of their materials to the Director of Brunei Museums. Publishers are also required to submit their published materials whether for sale or not, within one month after its publication at their own expense, adding that books or reading materials submitted must be complete and in good physical condition. 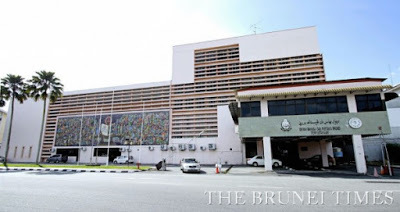 The Act, under Chapter 3 (3) said publishers that fail to produce their complete printed work to the Director of Brunei Museums will be charged a penalty fee of $6000, and will be asked to pay for the price of the book published. The handover of the Act seeks to support DBP’s vision and mission in promoting and increasing the use of books, information and library materials through referencing services, adding that it also acts as a ‘control centre’ for International Standard Book Number (ISBN). Representing the Museums Department at the handing over ceremony was the Director of Brunei Museums Department Pg Dr Karim Pg Hj Osman, while Acting Director of DBP Hjh Nortijah Hj Mohd Hassan accepted the documents on behalf of DBP. The Museums Department in a press statement said the handover of the act will also improve DBP’s collection as a whole and will improve its system and reading contents, including the E-library.